November 10, 1934 - December 27, 2018 Shirlea I. Savage was born in Ceylon, Minnesota to Arthur and Maisie Franz on November 10, 1934. Shirlea I. Savage was born in Ceylon, Minnesota to Arthur and Maisie Franz on November 10, 1934. She passed away on December 27, 2018 at the age of 84. Shirlea moved to Sinclair, Wyoming in 1942 before relocating to Portland in 1944 and then eventually settling in Zig Zag, Oregon. She attended Ceylon Grade School, Sinclair Grade School, and Glencoe Grade School. Shirlea graduated from Washington High School in Portland in 1952. She went on to attend courses at Portland State University for her career in banking. Shirlea worked at the Federal Reserve Bank in Portland and then worked for US Bank Corp where she worked for the computer department, helping develop the EFT (Electronic Funds Transfer) Unit, retiring in 1994. She also was a co- owner of the INN -Between in Welches, Oregon from 1981 to 1989. Shirlea married Floyd Savage on May 15, 1976 in Virginia City, Nevada. 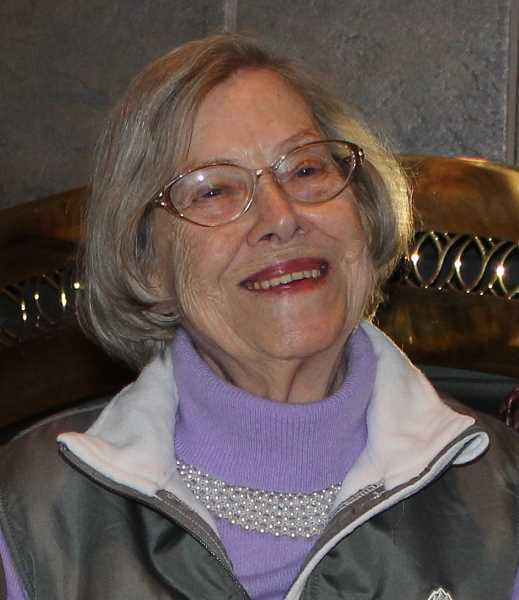 She enjoyed reading, poetry, crossword puzzles, bingo, and she participated in KATU book club, working at the Mt. Hood Lions Club bingo night, 4th of July breakfasts and fundraiser dinners. Shirlea loved Mt. Hood, being friends with everyone, helping people, attending weekly Mt. Hood Senior lunch-ins, and attending monthly lunch-ins with Washington High School alumnis. Shirlea is survived by her husband, Floyd Savage; daughter Jerilynn Plew. son Jeff Plew, daughter Julie Camp, son John Plew; 7 grandchildren; and 3 great grandchildren. • "My joys are my children, grandchildren, great grandchildren, husband, family and friends. My happiness was being married to a devoted, loving and caring husband and being surrounded by such a wonderful family. • My children and what wonderful adults they became. I am very proud of all of them and how they raised my grandchildren. A funeral service was held on January 8, 2018 at Sandy Funeral Home with a burial at Willamette National Cemetery. A celebration of life will be held on Sunday, February 17, 2018 at the Mt. Hood Lions Club in Welches from 2:00 to 6:00 p.m.